A 55-year-old man from the village of Trud, Plovdiv region, has been diagnosed with West Nile fever. After a severe pre-coma condition, the patient is getting better, the University Hospital "St. George" in Plovdiv announced. He is undergoing treatment at the Clinic for Infectious Diseases. 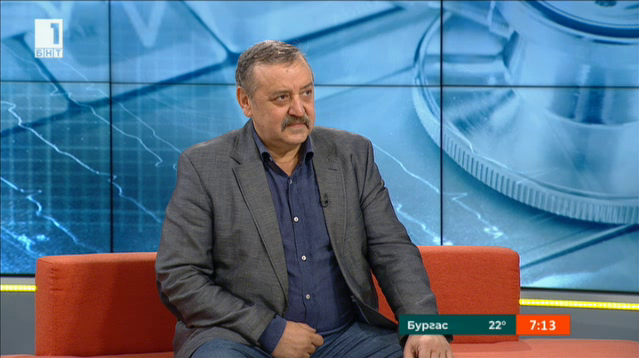 Prof. Dr. Todor Kantardzhiev, Director of the Centre for Infectious and Parasitic Disease, told BNT on 5th of September that iIn 2015, for the first time in Bulgaria, there was a child diagnosed with the disease. Several days ago we had a case of a woman who is already getting better, and on September 3, a 55-year-old man was confirmed of having West Nile virus, the specialist explained. He also said that West Nile fever is a disease that is common in neighbouring countries, especially in Serbia and Greece. "If 200 people are bitten by an infected mosquito, one gets ill, who can develop inflammation of the central brain, out of 100 people with such inflammation, 15-20% may die, depending on the degree of inflammation," Professor Kantardzhiev explained. The dangerous virus is spread by mosquitoes, who bite in the evenings and at night, and the reservoir of the virus are the migratory birds. Tiger mosquitoes are not the ones that spread the disease, explained the expert. The virus can be transmitted through infected blood, Prof. Kantardzhiev confirmed.